Other features: Backlit Keyboard, Matt (Non Glossy) Screen, Array microphone, Multitouch Touchpad, touch pointer, Stereo speakers, WebCam, hardened chassis, quick charge. 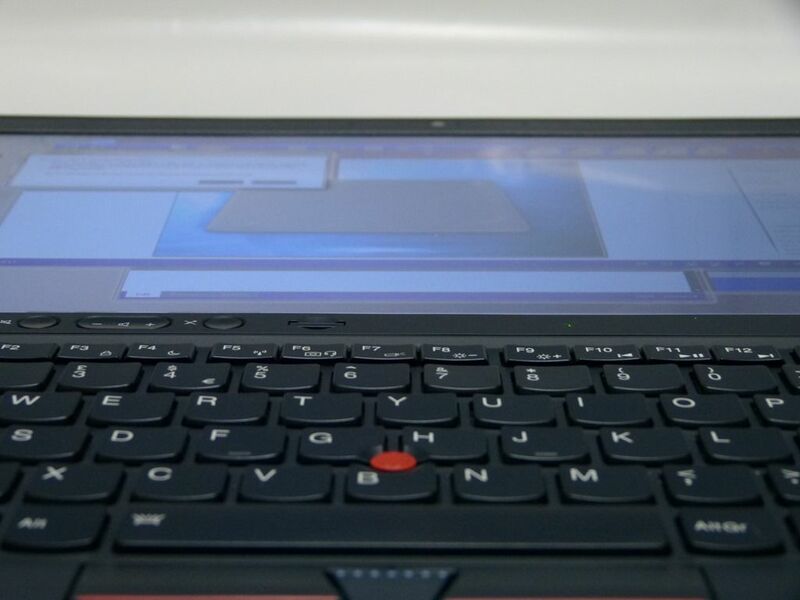 The Lenovo Thinkpad X1 Carbon was delivered in review packaging and therefore we haven’t done an unboxing video for you. A full gallery is here. Our first impressions were published in a previous post. 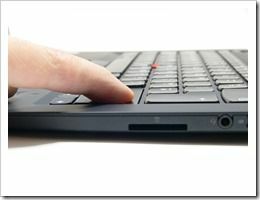 If you haven’t experienced the solid feel of a Lenovo Thinkpad before then you’ll be immediately surprised at how rugged the build feels. No squeaks or rattles, a rubberized chassis that feels incredibly robust. It’s difficult to flex any part of this Ultrabook. As a result of the solid build it does feel a little denser than the lightest Ultrabooks but from every other perspective this is a very lightweight 14″ laptop. It’s thin too. Given the tight dimensions and solid build it’s no surprise to find that the X1 Carbon only has a 46Wh battery inside. With no ‘slice’ battery option, that’s quite the tradeoff. 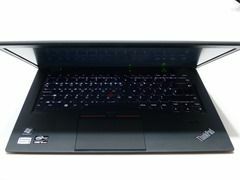 The Lenovo Thinkpad Edge is a sub $600 laptop at a similar weight, with a slightly less powerful processor but it’s been built with a 23mm thickness (the X1 is 18.8mm) and offers a huge 63Wh battery. The Fujitsu Lifebook SH772 Ultrabook offers even more. 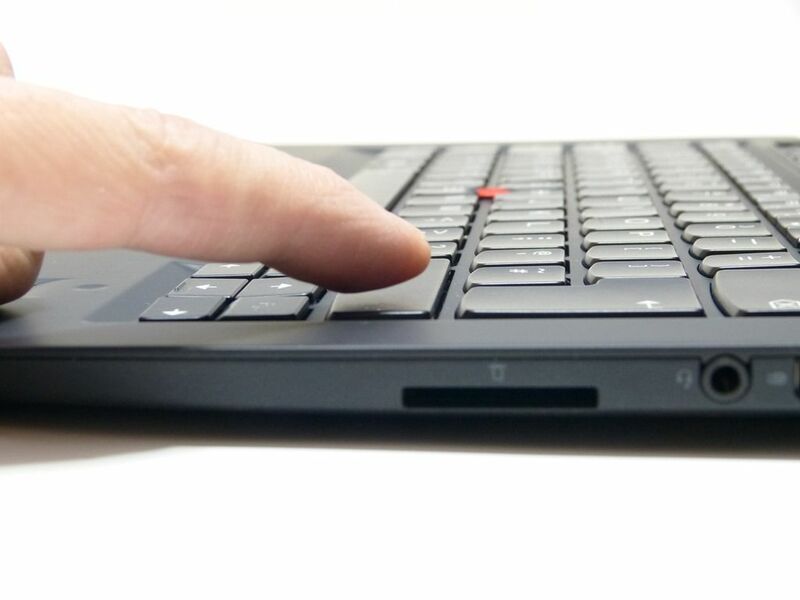 We think this battery life / weight trade-off should be at the top of your checklist when evaluating the X1 Carbon. 3G SIM card slot is at the rear. Again there are trade-offs. One USB3.0 port, one USB2.0 (with sleep and charge) , a mini Displayport, full size SD card slot and a headset port will probably be enough for most people. Don’t forget to buy a few Displayport adaptors though. Also, on the left of the Ultrabook, you’ll find a wireless off switch which is always a simpleand reliable way to enter airplane mode or simply to save battery. Windows 8 obviously has this switch in software so it’s use is fairly limited under that OS. 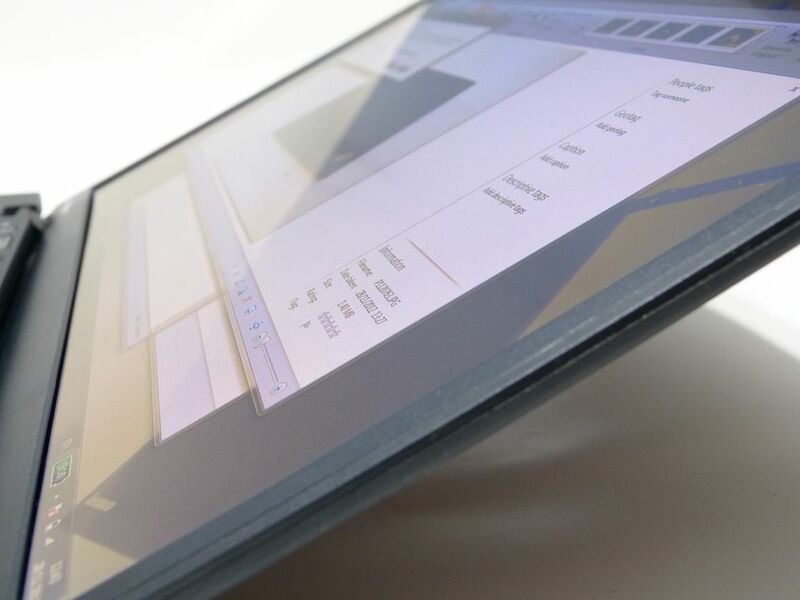 At 14” with 1600×900 resolution it’s optimal for productivity on the go. The Windows 7 (and Windows 8 desktop) experience degenerates at higher resolutions for those without perfect eyesight. Bumping DPI settings on a FHD screen isn’t 100% error free so this setup is just about optimal. 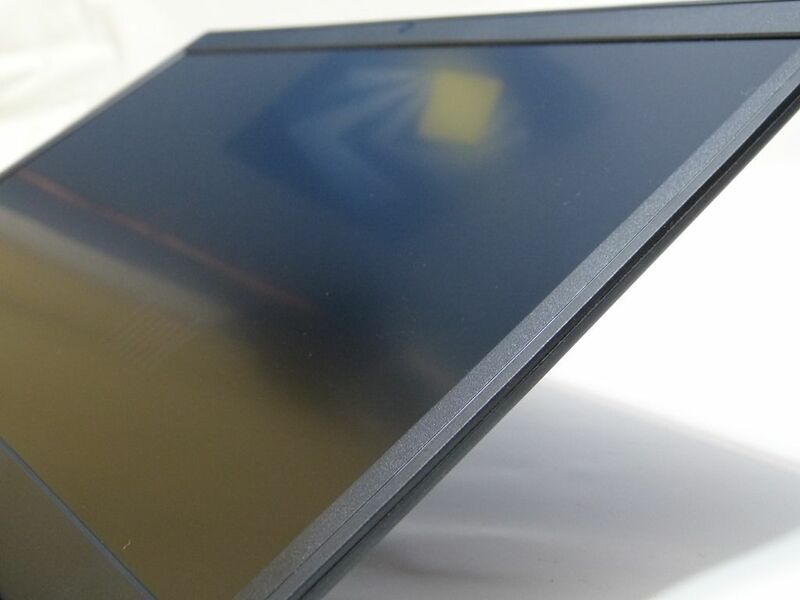 This isn’t an IPS screen though so viewing angles in the vertical plane are a bit restricted. Horizontal angles are good for multi-person viewing (although bad for security and privacy.) Contrast seems OK for a matt display – a style that never produces the most punchy reproduction. Because of this, and the restricted vertical viewing angles we’d put a red flag up for photographers and graphic artists. For the rest of us, carry on – it’s more than good enough for office work. In terms of brightness it’s good and OK for cloudy-daylight working but not a super-bright screen good enough for sunlight working. Few LED-backlit LCD screens are good enough for that scenario though. In comparison with a Toshiba Z830 it’s a tick brighter which, in turn, is a few ticks less bright than the Samsung Series 9 15” we tested. 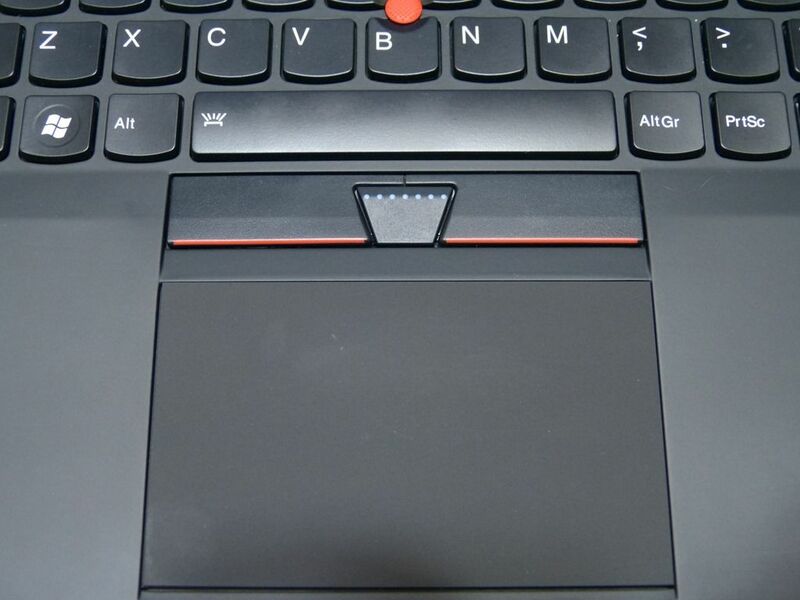 The X1 Carbon sits somewhere in the middle. 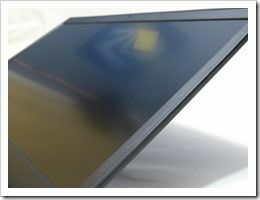 The touchpad has good palm rejection when using the touch pointer, feels silky smooth and can be used with the separate mouse buttons (including a middle ‘scroll’ button) or with the built-in button areas. We weren’t overly keen on the integrated buttons but at least you’ve got choices here. 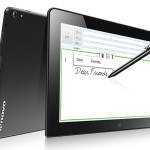 There has been talk of touchpad rattle and looseness but we don’t have any of that. There’s something in the region of 0.2-0.5mm play on the touchpad which is just right to give an audible feedback when using tap-to-click. Whatever your style of ‘mousing’, Lenovo’s Ultra Nav hardware and software should give you a comfortable solution. 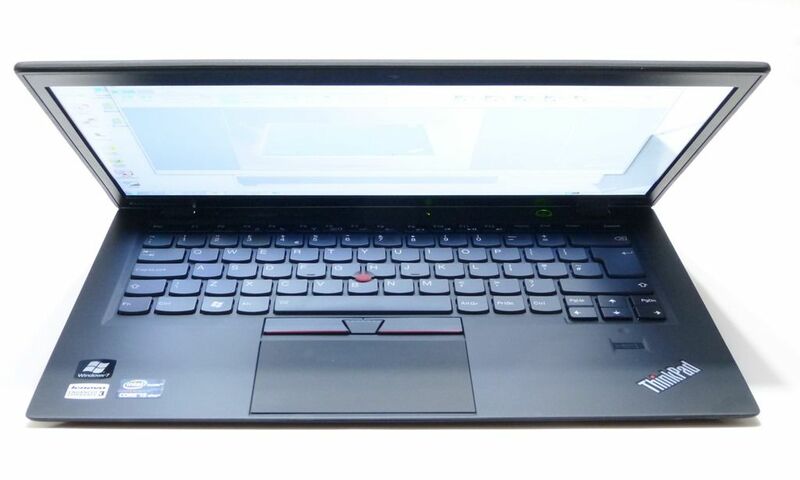 Unfortunately we have to mention a problem early in the performance section because Lenovo have loaded up so much software that we see it affecting performance in terms of speed and battery life. In our first impressions we noted 113 processes running in the background which is a huge number although given the hardware on the device (TPM, VPro, fingerprint reader, GPS etc.) one must expect a few extra bits going on in the background. There’s some overlay and assistant software too which we disabled pretty quickly and you’ll find some trial-ware. The software package isn’t low quality, it’s just that there’s a lot of it. So once again, we’re testing a Windows 7 version here. 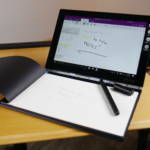 We’ve heard from one reader that it’s better under Windows 8 so please people, consider going Windows 8 where the software solution might be better. 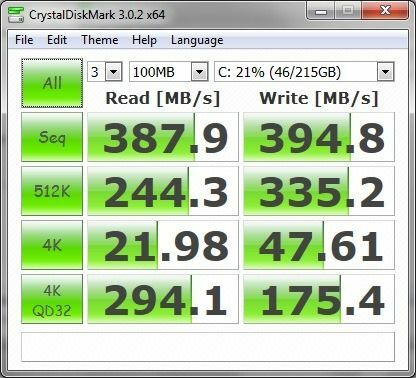 The speeds above are excellent all round and under Windows 8 we’d expect some of the best boot and restore speeds in the Ultrabook class. 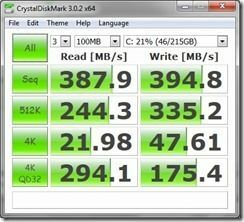 In terms of size, we’ve got the 256GB SSD here which has been configured with a recovery partition and 215GB of Windows 7 partition of which only 169GB is free on our review sample, and that’s after removing a few trial software packages. Over 80GB is lost to formatting, recovery and OS. Stereo speakers are clear and loud, driven by a Realtek audio module but without any sparkle. The usual SRS and graphic equalizer settings are available in media player but there are no equalization, effect or mode settings in the Realtek software. Plugging headphones into the headset port work to extract an analogue signal. Unfortunately we didn’t have the equipment handy to test the DisplayPort audio pass-through. The HD 4000 DisplayPort media interface supports DisplayPort 1.1a which, in theory, support audio pass-through. 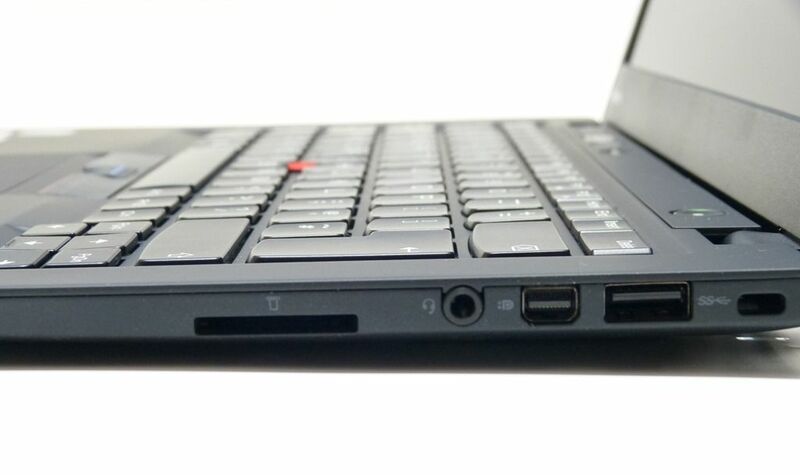 The Lenovo Thinkpad X1 Carbon includes a mini DisplayPort V1.1a. Users can buy low-cost adaptors for HDMI, DVI and VGA. HD 4000 supports two external monitors which can be implemented via Displayport. This has not been tested during this review. We have not tested external display performance in this review. The video playback capabilities of PCs have three limiting factors. CPU, video decoding hardware and software codecs. Windows 7 provides a good set of software codecs out of the box and supports most hardware video decoders. MPEG2, MPGEG4 part 2 (like Xvid, Divx) and MPEG 4 part 10 (like H.264) along with WMV of course. You’ll need to download and install codecs for other types of file. Windows 8 does not support MPEG2 playback out of the box. The HD 4000 GPU supports full HD (1080p) decoding in hardware and we tested it up to 50fps and 30Mbps which is as high as you’ll get on most consumer video cameras. In theory the chip can decode twice that much and can even handle 4K video decoding. Unfortunately we weren’t able to test that that. CPU usage levels are impressively low (average 3%) on decoding 1080p (H.264) video content. The fan came on at a low level while testing a 1 minute HD video playback. At 50% brightness and ‘balanced’ battery mode the power usage averaged 12W which is slightly higher than we’d expect. It equates to 4hrs of HD video playback. The Wi-Fi card, a Centrino N 6230 module, supports Intel Wireless Display (Wi-Di) so you can send 1080p video (up to 60fps) to a screen without a cable. Wi-Di is not a lossless transport and targeted at video, not wireless desktop usage. A Wi-Di / HDMI receiver costs from around $50. 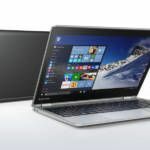 All Ultrabooks include the Intel Quick Sync Video hardware that, through use of the Intel SDK, can provide accelerated decoding and encoding capabilities for common video file formats. The HD 4000 implementation is theoretically faster than the HD3000 implementation. For example it will take around 15 seconds to convert 60 seconds of 1080p to 720p video. We’ve tested gaming with the HD 4000 built-in graphics before and, while impressive for an on-board graphics unit and much faster than the performance you’ll get from an older HD 3000 (Sandy-Bridge era) GPU unit, it’s still not able to provide a worry-free gaming experience. It can support ‘recent’ games at lower setting levels and can be quite battery efficient at doing so but you’ll still have to put up with anything down to 1.5hrs battery life, some fan noise and a bit of warmth. 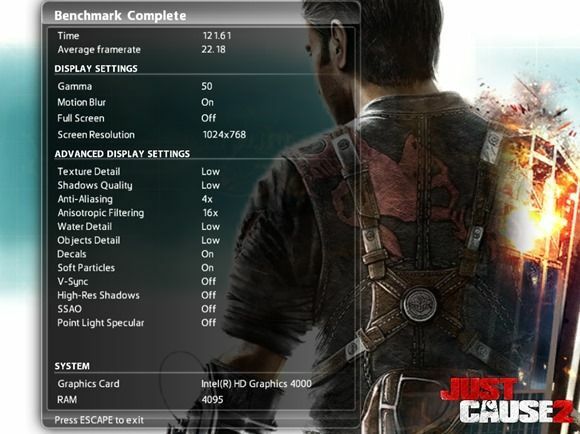 In a benchmark test in Just Cause 2, tuned down to 1280×800, we saw 18.26 frames per second which is about double what we’re used to seeing under Sandy Bridge devices but still not good enough for gaming. At 1024×768 the frame-rate was up in the 20s and when we tuned down all the advanced display settings to low and turned of Vsync we managed to see some 30+ FPS figures. Still, that’s not enough overhead for smooth gaming because average frame rate was still only 22fps. Still, it’s about the best we’ve seen on an HD 4000-based Ultrabook so the X1 Carbon did well for its class. You’ll find a Facebook ‘Like’, Twitter and Google +1 buttons at the top of this post. Please take the time to promote us if you feel this review was useful. 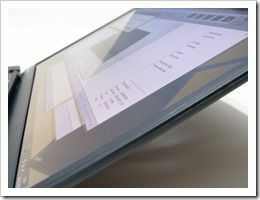 It will help us with the next Ultrabook review. Thanks! 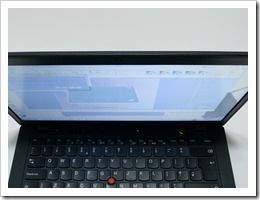 Throughput testing was not performed with the Lenovo X1 Carbon but a three-wall test showed excellent reception and throughput characteristics. 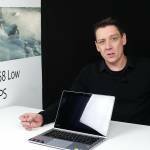 Well above the average performance of other Ultrabooks we’ve tested. Using an 02 HSPA+ network it was a simple setup procedure to get going after installing the SIM card and rebooting. Download speeds were as expected in the testing area, midday, with 3.2Mbps down and 1.1Mbps upload using Speedtest.net. Hotspot software is pre-installed. The HSPA+ module installed here in Europe supports a theoretical 21.1Mbps download and 5.76Mbps upload. 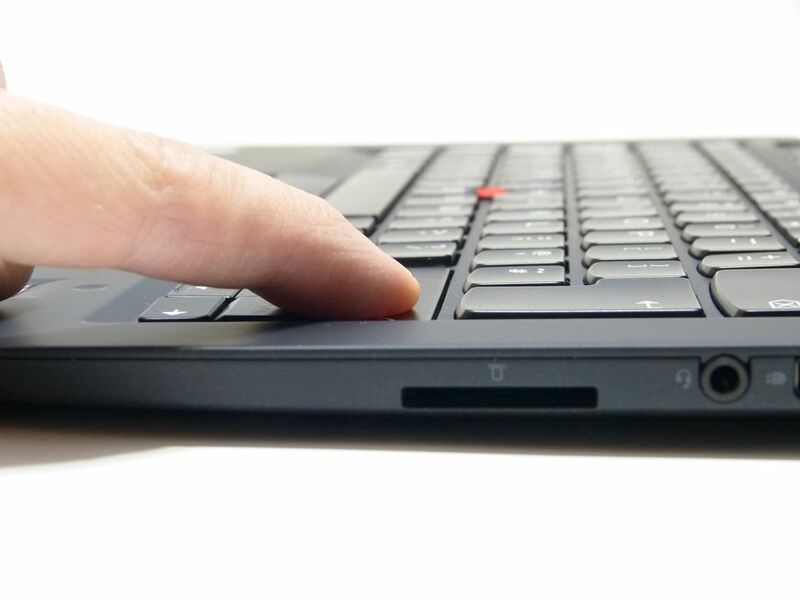 The x1 carbon is known for its screendoor effect, were you bothered by it? No. I hadn’t actually seen it until 30 seconds ago, after reading your comment! 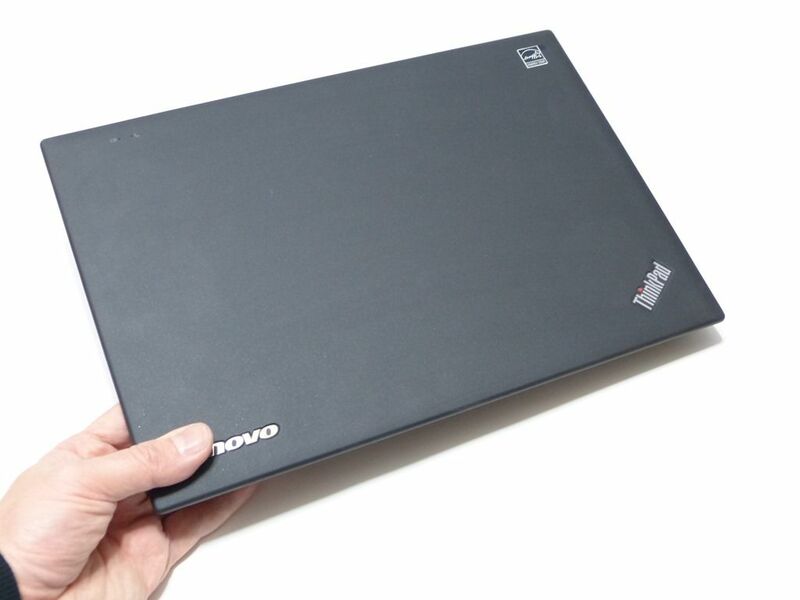 Are you able to get any detailed information about Lenovo’s MIL-STD-810G claims? Any actual test results? I also like more info on this. A solid feel does not equate to a solid and durable notebook. Sometimes a cheap plasticy feeling device and withstand more abuse than a solid feeling one. The MIL-STD-810G standard specifies environmental considerations and testing methods with no specific measured thresholds for pass/fail results. Therefore, manufacturers have significant room to interpret what is considered passing for ruggedness. Manufacturers should provide detailed results of all tests that were conducted. With that said, it has been a long time since there were any easily obtainable information about a ThinkPad’s MIL-STD-810G claim. You can interpret that however you want but there are probably reasons why ThinkPads aren’t $2,000 – $4,000 USD (actual sale price and not the MSRP) anymore. 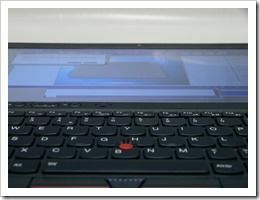 I tested the X1 Carbon for two weeks. I really loved the look and feel, performance, great keyboard! But I was so annoyed by the crappy screen, to be more precise: the screendoor effect, which was very obvious for me. 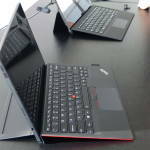 There are so many ultrabooks with IPS screens out there and for the premium price tag of the X1C you d expect something better. Anyhow, I am now sitting in front of a Samsung 900x3C with a superb screen. 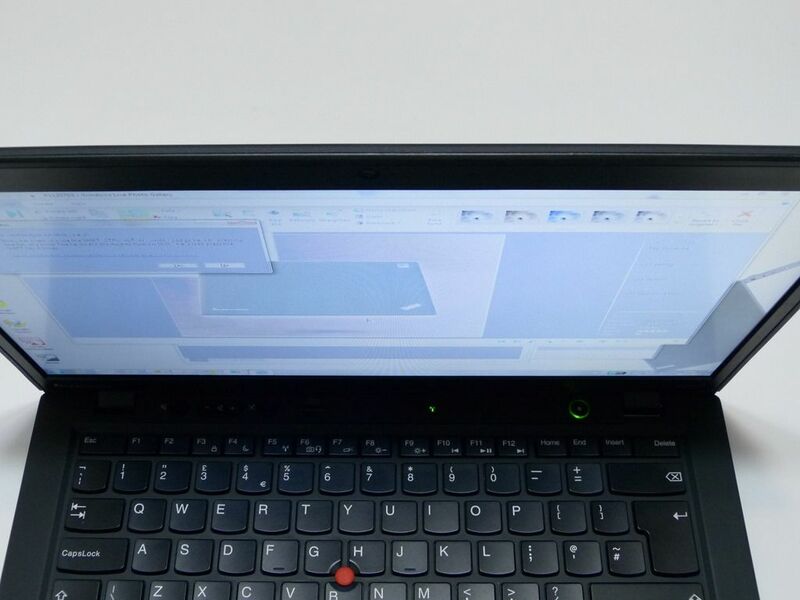 The keyboard isnt as great as the X1 but the screen is far more important. I can only recommend you go to store and try both. 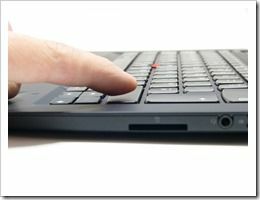 I am a Thinkpad fan for many years. 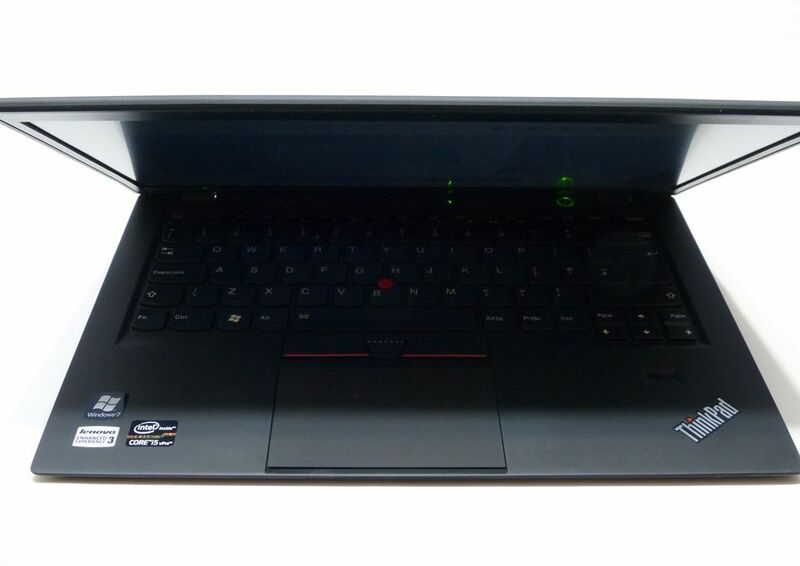 I am thinking of buying my next thinkpad. I have shortlisted following modls X1 Carbon/ X230 or T430U or U410 Can I change harddisc to 1TB SSD( i store large data). Secondly can i change RAM to 16GB. Appreciate if some one gudie quickly.